Allergies seem to creep up on us every year but, did you know your furry friend might be at risk as well? Environmental-related allergies are “the most common type of allergic disease in dogs” (source 1) and account for “25% of all yearly visits to the veterinarian. Seasonal allergies can cause inflammation, infections, rashes on the dog’s skin and even loss of hair (source 2)! There are a plethora of various treatments available for our beloved friends so don’t be alarmed. Our goal is to craft a quick guide to identify different symptoms, signs, and prevention tips for your dog to make sure they can continue to be your cheerful furry friend this allergy season! If you have a cat, be sure to check out Pawsome Kitty’s Best Hypoallergenic Cat Food blog post. Nailing down exactly what your dog is allergic too may be a challenge because every dog reacts differently to various substances. An allergic reaction occurs when your dog’s body has an inverse response to a foreign substance entering their body. Their immune system jumps to action to try and combat the “dangerous” material, or allergen, even if dogs are used to these allergens in their environments. Environmental, flea and food allergies are the most common in dogs and remain the leading cause of dog allergies. 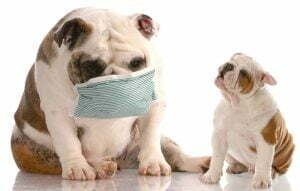 Environmental allergies range in variety from dander and dust to various grasses and mold so tracking down exactly what might be causing your furry friend to react may be a challenge. Some allergens can be seasonal such as pollen, trees, and weeds while others are non-seasonal such as dust, dander, and metals. These allergens are mostly inhaled or ingested by our dogs and can be unavoidable at times. Fleas can be a nuisance for any pet as they cause discomfort and itching but some dogs have something called “flea allergy dermatitis (FAD),” or fleabite hypersensitivity (Source 3). FAD is the leading cause of skin disease in dogs in the U.S. and usually spike during allergy season when fleas are most prevalent. It’s never fun to see your dog suffer from those pesky critters and hypersensitivity can cause hair loss, raised bumps and constant itching from our favorite pets! Lastly, food allergies in dogs might be the hardest to detect and the 3rd most common dog allergy in the U.S. but not as dangerous as some may believe. American Kennel Club Chief Veterinary Officer, Dr. Jerry Klein, finds that many “true food allergies” that cause reactions such as peanut allergies in humans are uncommon for dogs. Most allergies are attributed to food intolerances or food sensitivity to certain foods (beef, chicken, eggs, corn, etc.) which can still cause some discomfort for your furry friend. Learn what dogs should eat. Also, learn about a raw diet for your dog. Any dog is at risk of suffering from allergies, so it’s important to know the signs just in case your little tail-wagger is showing symptoms. The variation of symptoms are different for every dog, and the severity ranges on the type of allergy and is case-by-case. Here are some things to look out for if you think your dog may be suffering from allergies! Depending on your dog’s allergies, the symptoms can vary. Your dog may have merely hair-loss and increased itching from dry skin, so it’s essential to bring your dog in to get checked by their veterinarian to confirm an allergy before trying different treatment and prevention remedies. Allergies can start or stop at any part of your dogs lifetime so please get them checked regularly and bring any symptoms they may have to their veterinarian just in case! 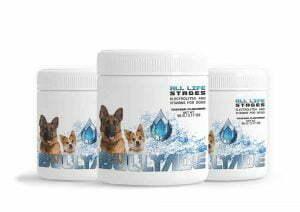 Ensuring your pets immune system is strong can be key to preventing the conditions from getting out of control. 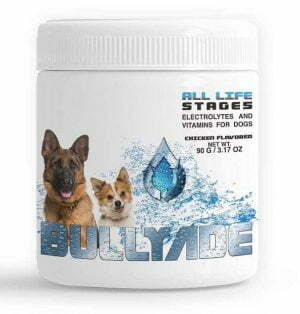 Giving your pet a great multivitamin like Bullyade can make a huge difference. Finding out if your dog has an allergy requires a few things to confirm the diagnosis. Most veterinarians recommend a skin or blood test to verify an allergy while others suggest a special elimination diet to try and locate the allergen (source 4). Different symptoms require different treatments, but many experts believe that prevention is key to managing your dog allergies. For example, if your dog is allergic to flea bites, then a flea control regime is going to be the best way to prevent those bites from happening and a great way to stop the itchiness! Dogs with a dust allergy will benefit from regularly cleaning their toys, bedding, and areas where they hang out the most. Regular hygiene and bathing are recommended to relieve some of the itching or excessive biting and remove some environmental allergens from their skin. We all want whats best for your dogs and knowing whether they have allergies or not helps to keep them happy and healthy! Environmental allergies are sometimes unavoidable and hereditary factors and make dogs more susceptible to various allergens during their lifetime. 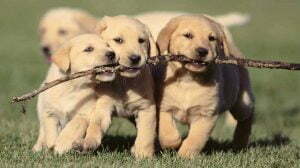 The first step to any treatment is to check with their veterinarian and confirm if allergies are the problem. If they are, then its time to look into treatment and prevention for your furry friend! 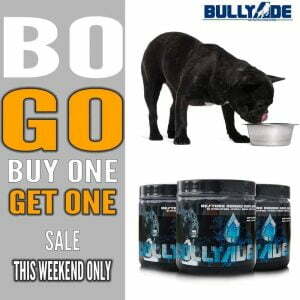 Quality of life is the key to your dog’s happiness, and while you cannot prevent an allergy problem, you can drastically change their quality of life with a few simple changes at home and a little bit of Bullyade.